Lincoln, New Mexico, 1876 (Stand, Part Two). William retreats to a town inspired by reality and populated by figures from the real world. His classmates are all here, with their personalities intact, but each of them now has a new part to play in the drama. For example, Murphy is a career criminal running a protection racket, and the people of Lincoln are in his thrall. William himself is recast as a wanted outlaw (A Small Dark Stranger). 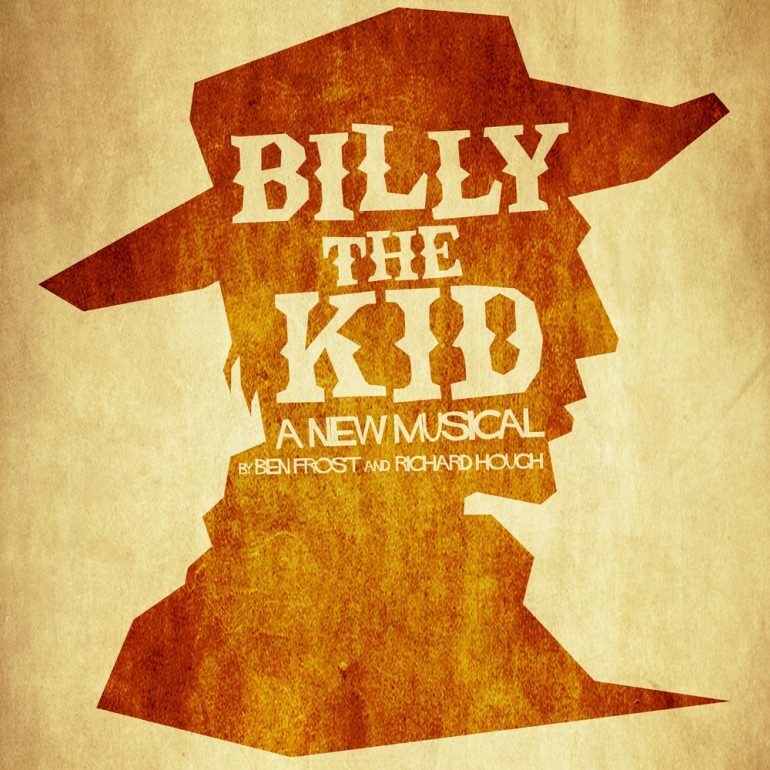 He enters The Last Chance Saloon as ‘Billy the Kid’ and wins the respect of ‘Colonel’ Murphy with an impressive display of cowboy-skills (Billy’s Song). Murphy invites the Kid to join his not entirely legitimate business (Keeping The Peace). The cabaret plays a celebration of 100 years of the United States (Happy Birthday, Uncle Sam), and the kind and thoughtful Mary Meacham attempts to caution Billy against accepting the Colonel’s dime. Alas, Billy is too flattered to ignore the offer. He agrees to work for the Colonel and soon takes part in one of Murphy’s most daring schemes (Stagecoach Robbery). When Mary find outs, she labels Billy a coward, not fit to call himself a Cowboy (American Heroes). At the Centenary Ball, when the dancing is done (The Barn Dance) and the beauty queen has been crowned (Liberty Belle), and the genuine Cowboys have strut their stuff (Hoedown), Billy discovers exactly how ruthless Murphy can be. 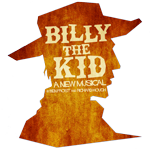 An explosion is heard across town (Chaos), and Billy the Kid is forced to admit that misplaced pride has got him a deal with Devil (Salvation). Mary Meacham and Sam Briscoe, proprietors of the Last Chance Saloon, have lost their place of business and their home, and all because Sam stood up to the Colonel and refused to pay for his protection. Fortunately, the good people of Lincoln are quick to come to their aid (As Long As You’re Here). But Sam and Mary will have to make do with the schoolhouse until more permanent accommodation can be found. The desperate situation forces them to question their feelings for each other, though they keep their conclusions to themselves (What Am I To You?). Billy, meanwhile, has been blamed for the explosion that destroyed the Saloon (Go To Jail). In the local jailhouse, he is visited by Pat Garrett, the US Marshal who has been on his trail since Kansas City. Garrett recommends that Billy changes his ways (Catching Tigers), and he doesn’t need telling twice. When Mary springs him from his cell, he hatches a plan to get revenge on Murphy and justice for the town (American Heroes, Reprise). The lesson bell rings. William Antrim wakes from his dream and shares with his class – with Mary and Sam, with their teacher Miss Garrett, and even with Murphy – the lessons he’s learned. He sings of life, liberty, the pursuit of happiness, and how we’ll always make a difference if we’re strong enough to stand together (Stand, Reprise). © Auburn Jam Music LTD 2018. Site build by Auburn Jam Music Ltd.